Fantasy Fast Track picks are styled on Yahoo! Fantasy Sports Auto Racing. Fantasy pool styles vary so adjust your picks accordingly to your league rules. Welcome back, Fast Trackers! 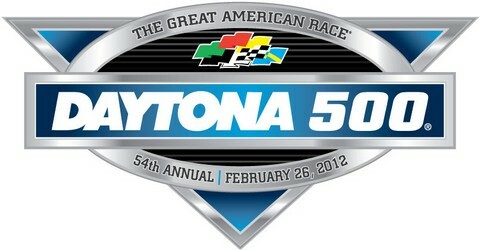 Are you ready for a new and exciting season of NASCAR Sprint Cup racing action? Well, if what’s been seen so far in the Budweiser Shootout and the Gatorade Duels any kind of clue, 2012 will be bigger and better than ever! Who’s going to come out of the gate to take the lead? It might seem like a mixed bag of choices, but hopefully my picks are just the answers you need for your fantasy pool. It’s free, and the highest finishers will be awarded prizes at the end of the season! 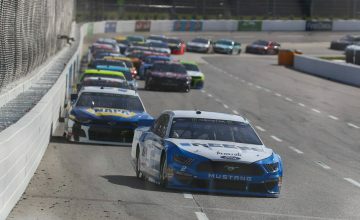 Matt Kenseth – The races so far during Speed Week has shown that pack racing has returned to Daytona because of the new rules package, but tandem racing shows up during the last 10-20 laps. That being the case, Kenseth did pretty well with push assists from Jimmie Johnson to win Duel 2 of the Gatorade Duels. Roush-Fenway Racing has 3 of the top-4 starting spots for Sunday’s Daytona 500, but Kenseth has the edge with a previous Daytona 500 win in 2009. Bench Pick: Kyle Busch – Kyle struggled a little bit during Duel 2, starting in 12th and finishing 7th, but it’s his Budweiser Shootout win by .013 seconds over Tony Stewart last Saturday night that is more memorable. Busch was spun twice during the race, the 2nd time his car required repairs during the pit stop, and after restarting in 8th, charged to the front to win during the last two laps of the green-white-checkered finish. With all the recent experience of spinning, beating, and banging, Busch may show that he can tough it out to the end for his 1st 500 win. Dale Earnhardt Jr. – Junior finished 2nd in Duel 1, which is where he started, so no harm, no foul. He’s also a former 500 winner, and tends to put on his best performance at Daytona, being the highest rated Group B driver for this track. Kurt Busch – Kurt lost his ride from Penske and is now driving for a team known more for their start-and-park efforts. However, starting in the back of the Budweiser Shootout field with a backup car, he raced his way to the front to 4th place with 2 laps to go before a “big one” occurred that he got collected up in, and he was forced to retire in 17th place. Assuming he avoids any “big ones” on Sunday, Busch will make a decent showing that will reinforce his 3rd place ranking in the driver rating for Daytona due to his 10 top-5 finishes in 22 starts. Bench Pick: Kasey Kahne – Kahne has 2 top-5 finishes in the last 3 races at Daytona, and that was using what he had to work with at Petty Motorsports and Red Bull Racing. 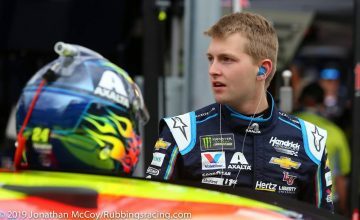 But being new to Hendrick Motorsports for 2012, Kahne has an almost even chance of continuing that top-5 run, if not actually improve upon it with a win, with top-notch equipment. Bench Pick: Paul Menard – Menard’s 17th standing in the points at the end of last season bumped him out of Group C and into Group B for this year. His 2 races last year resulted in 9th and 8th place finishes respectively, even leading a combined total of 16 laps during those 2 efforts. With this being his 2nd year at Richard Childress Racing, Menard is certain to improve with experience. 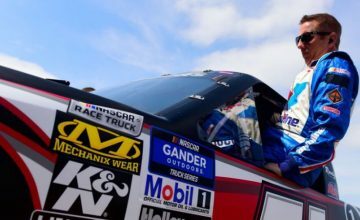 Bench Pick: David Ragan – Ragan is with a new team this year, Front Row Motorsports, but he brings ample restrictor-plate experience with him. Ragan was in position to win last year’s 500, but a costly restart penalty on the race’s green-white-checker attempt moved him from 2nd place to the rear of the field, and Trevor Bayne got the miracle win instead of him. However, he recovered from that error to go on to win the July Daytona race.